to be nominated by the Council. service of the Chairman and Members of the Authority(1) The Chairman and Members of the Authority shall be appointed by the Central Government on the recommendations of a Selection Committee to be constituted for the purpose by the Council. be paid a monthly salary of Rs. 2,25,000 reduced by the amount of pension. attained the age of sixty-two years. has attained the age of sixty-two years. passed on by the registered person to the recipient by way of commensurate reduction in prices. there is prima facia evidence to support the claim of the applicant that the benefit of reduction in the rate of tax on any supply of goods or services or the benefit of input tax credit has not been passed on to the recipient by way of commensurate reduction in prices. its recommendations to the Standing Committee for further action. or the benefit of input tax credit to the recipient by way of commensurate reduction in prices, it shall refer the matter to the Director General of Safeguards for a detailed investigation. collect evidence necessary to determine whether the benefit of reduction in the rate of tax on any supply of goods or services or the benefit of input tax credit has been passed on to the recipient by way of commensurate reduction in prices. may have information related to the proceedings for furnishing their reply. (4) The Director General of Safeguards may also issue notices to such other persons as deemed fit for a fair enquiry into the matter. presented to it by one interested party to the other interested parties, participating in the proceedings. writing as allowed by the Standing Committee and, upon completion of the investigation, furnish to the Authority, a report of its findings along with the relevant records. disclosure of any information which is provided on a confidential basis. information on confidential basis to furnish non-confidential summary thereof and if, in the opinion of the party providing such information, the said information cannot be summarised, such party may submit to the Director General of Safeguards a statement of reasons as to why summarisation is not possible. judicial proceedings within the meaning of sections 193 and 228 of the Indian Penal Code (45 of 1860). the Authority where any request is received in writing from such interested parties. 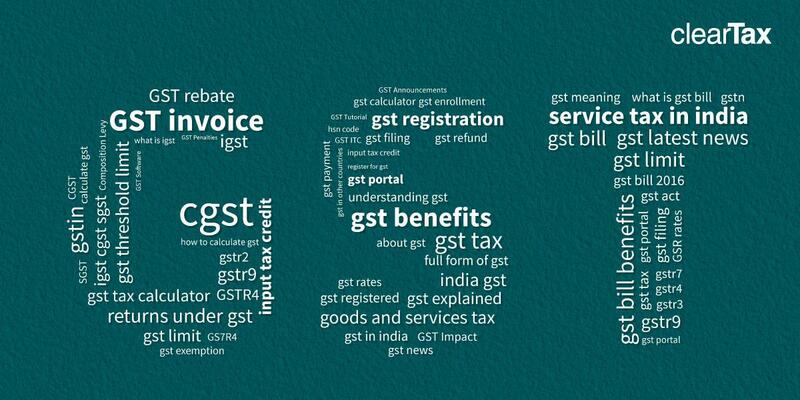 of the Integrated Goods and Services Tax Act or the Central Goods and Services Tax Act or the Union territory Goods and Services Tax Act or the State Goods and Services Tax Act of the respective States, as the case may be.